Lufthansa will double the surface area of its available lounges at the opening of the new Munich Airport Terminal 2 satellite. Five lounges in the Schengen and non-Schengen sectors with a surface area of more than 4,000 square metres will be added to the existing seven lounges in Terminal 2. Currently, Lufthansa offers a First Class lounge, three Senator and two Business lounges as well as a Senator Café with a total of over 4,600 square metres to its guests in Terminal 2. The new lounges are flooded with light thanks to floor to ceiling panorama windows, and feature a spectacular view of the eastern airfield. 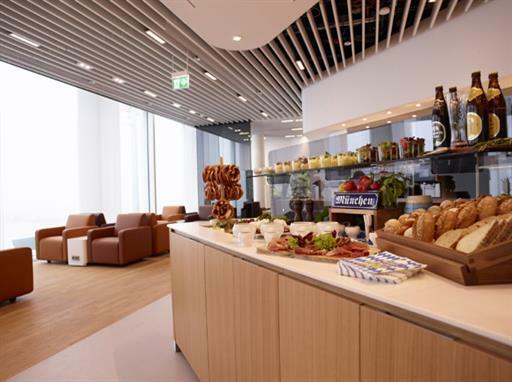 The newest Lufthansa lounge design entices guests with warm colours and an inviting atmosphere. The First Class Lounge, the first lounge in the worldwide Lufthansa lounge network, offers a roof terrace.